In an area of outstanding natural beauty. 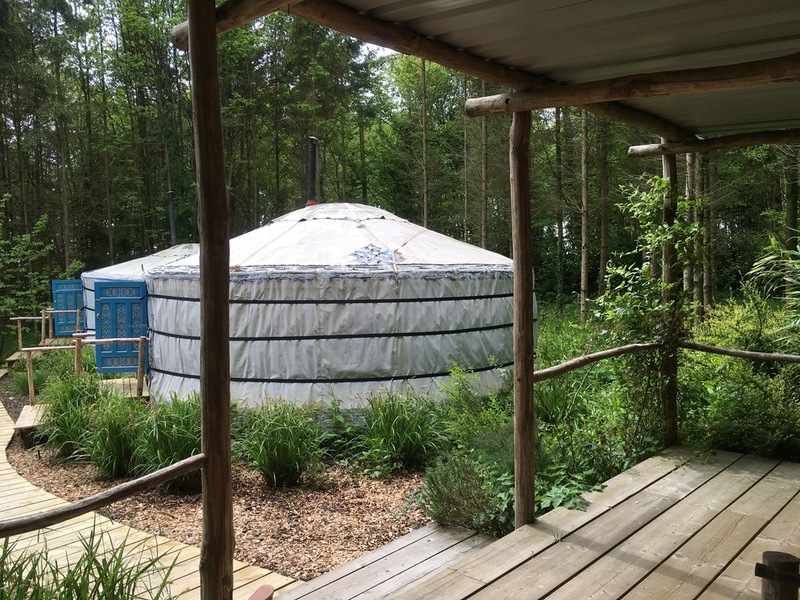 Both yurts are booked together for a very private location on the edge of woodland. come and enjoy the many local pleasures, fabulous beaches, historic castles and famous gardens. Barefoot yurts is a family run business. We take great care and attention to detail to try and make it a place you keep wanting to come back to. with all the comforts of a cottage. couples looking for a unique romantic getaway, or a small group of friends. 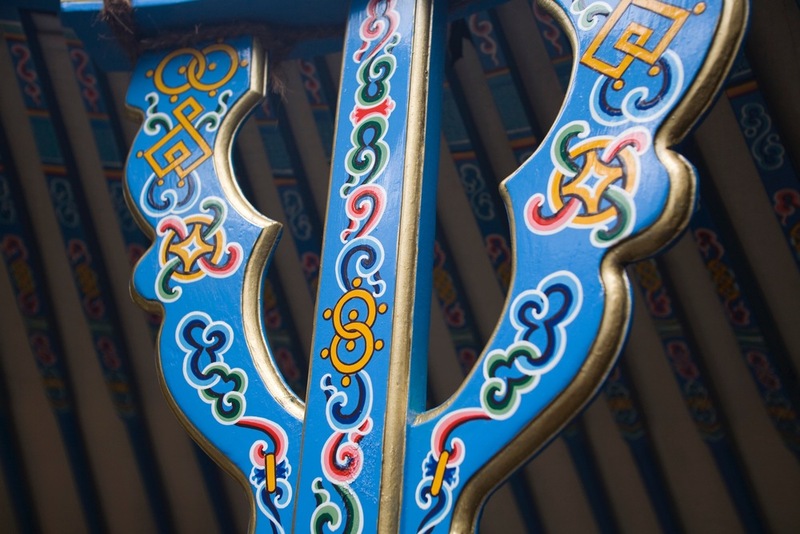 Both yurts are booked as one. The bedroom yurt is fully furnished with a very comfortable hand made oak bed, all sheets and towels etc included. It is spacious enough to have extra single beds or a travel cot if required. The larger sitting room yurt can be used as a place to relax, get cosy by the wood burner, play games or accommodate another couple. One of the sofas turn into a large comfortable double bed. We also provide a plentiful supply of wood for the burners. 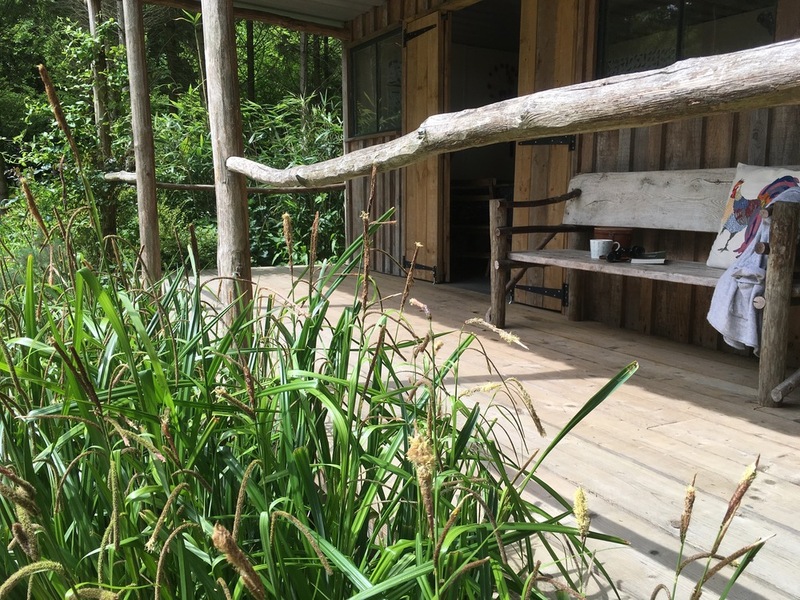 The kitchen and shower room are set apart from the yurts in a log cabin with a covered deck, a lovely place to sit and watch our resident barn owl on his evening hunt or the sun setting. It has electricity and all the equipment you will need for basic cooking including an oven, hob, fridge and a few essentials tea, coffee, sugar, salt and pepper washing up liquid and t-towels. We are great believers in recycling and leaving a small barefootprint, so we have tried to get the balance right by using solar lighting, recycled wood and installing a composting loo. We are very proud to say that 60% of this building has been built using recycled materials. The location is easily accessed by a track on private land. Secure parking is just beside the yurts although not in view.